Gray 'Get Reel... Get Fish BLUE CAMO BAD FISH!' 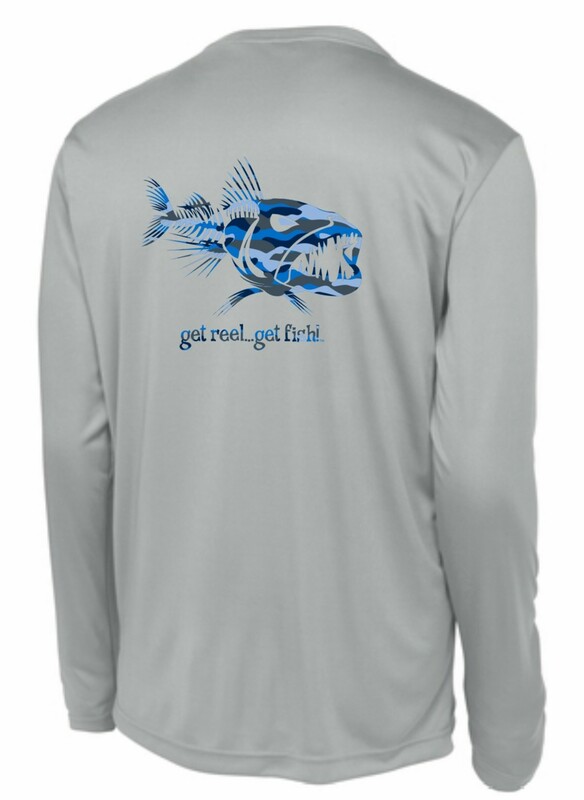 Long Sleeve Performance Fishing T-SHIRT - Printed front left chest and full rear on with our new BLUE CAMO Bad Fish! Get one now and buy one for your favorite angler!